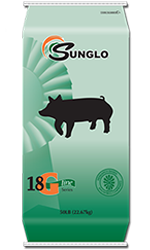 Pick up Sunglo Hog Feeds 18G and 16G at J&N Feed and Seed. Sunglo Hog Feeds combine an ideal balance of carbohydrates, amino acids, innovative ingredients, active nutrient supply and show micronutrients to help unlock your animal’s potential and maximize their show performance. Feed after Show Sector to promote growth and muscle development in show pigs. 18 G-line Meal Feed can be positioned across a wide range of genetics to promote optimal growth, muscling and condition. 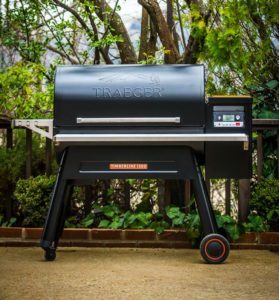 Designed for pigs 75 lbs and up. 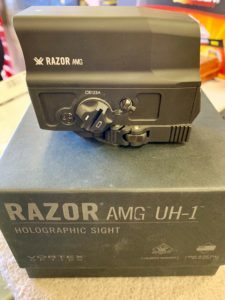 Designed to add condition to pigs that are harder in their appearance. 16 G-line Meal Feed is the feed of choice for tighter made pigs that need added body and finish. Designed to be fed after 18 G-Line Meal Feed or Show Sector 2 Complete as the sole ration for pigs weighing 150 lb. to market to encourage growth in rib and body. Ideal carbohydrate balance: Improves showpig performance due to a better gut environment from ideal balance of starch, sugar, and fiber from start to finish. Keeps your pigs on feed, on schedule and performing their best with superior energy metabolism, gut condition, stool consistency and more. Show Micronutrients: Supports strong bone growth and immense muscle mass in superior show pigs from start to finish, including vitamins like vitamin E, vitamin D, and biotin and minerals like digestible phosphorus, potassium, chromium, and zinc. All balanced to maximize show pig performance.